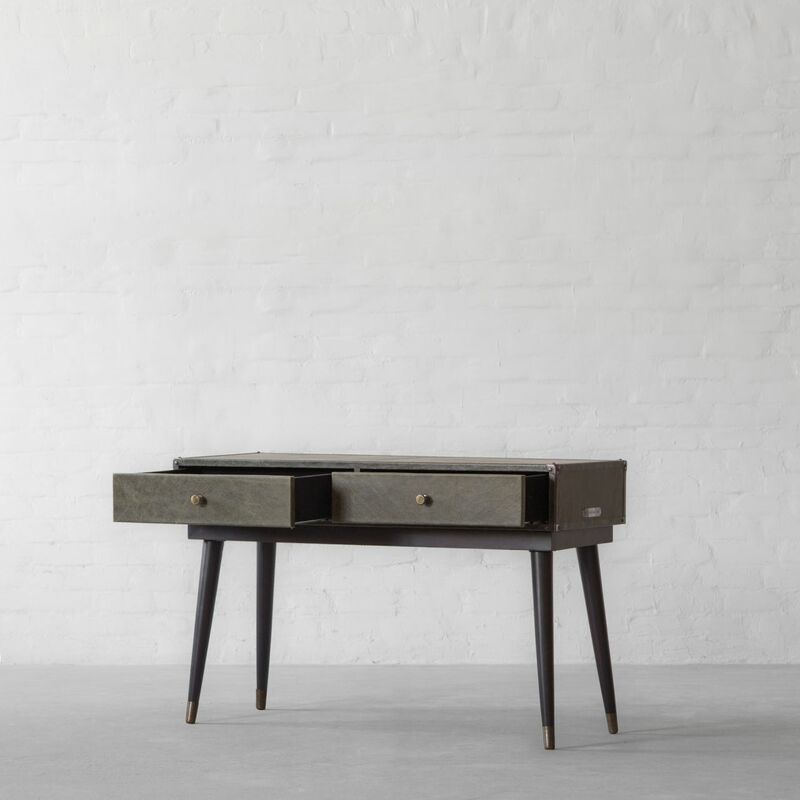 Functional and Exquisite Console Tables are here! Console tables come to us from French furniture designs of the 18th century. Originally, they were small, half-moon shaped tables fastened to the wall at counter height with a console, which is a little curved bracket. Over time, these little tables evolved to become as useful as they were decorative. 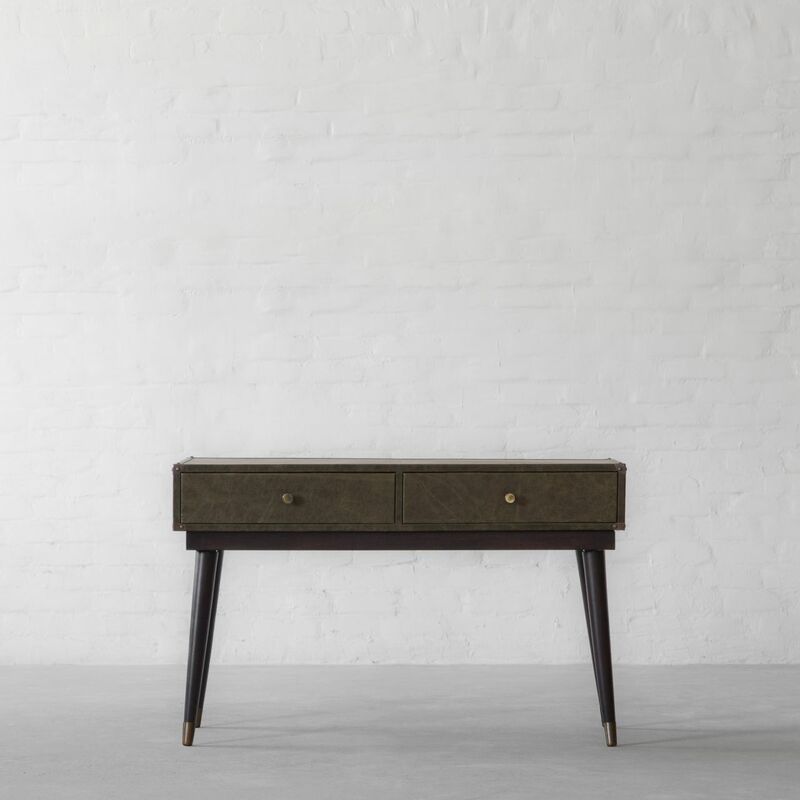 The beauty of an all over leather cladded piece along with the functionality of a storage table is power packed in our Edward Leather Clad Console Table. 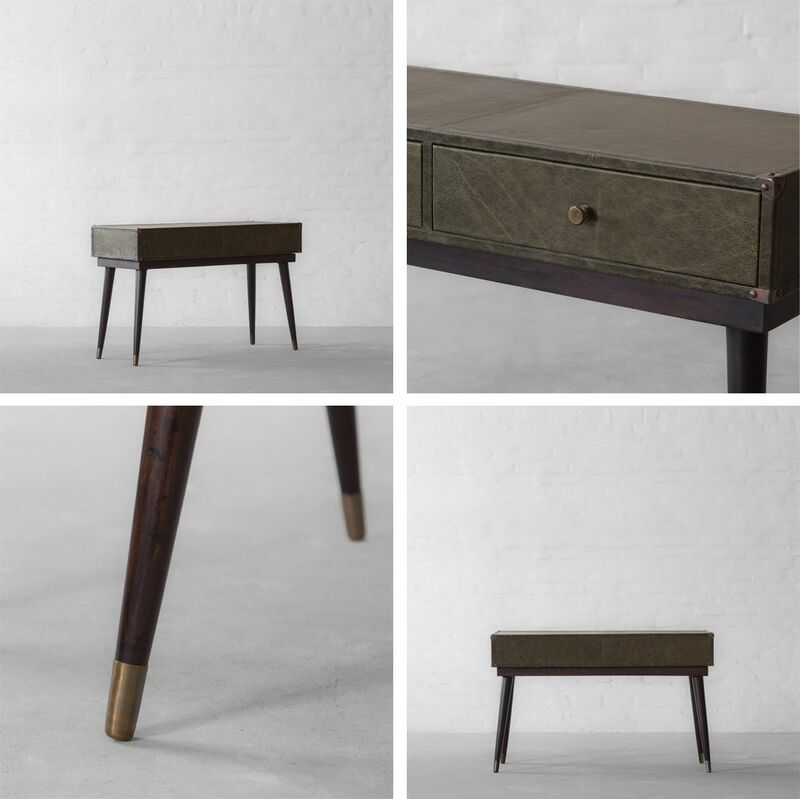 With simple, subtly tapered legs and a long, ample frame, this design resembles the French aristocratic mansions, where they were used as decorative furniture pieces. 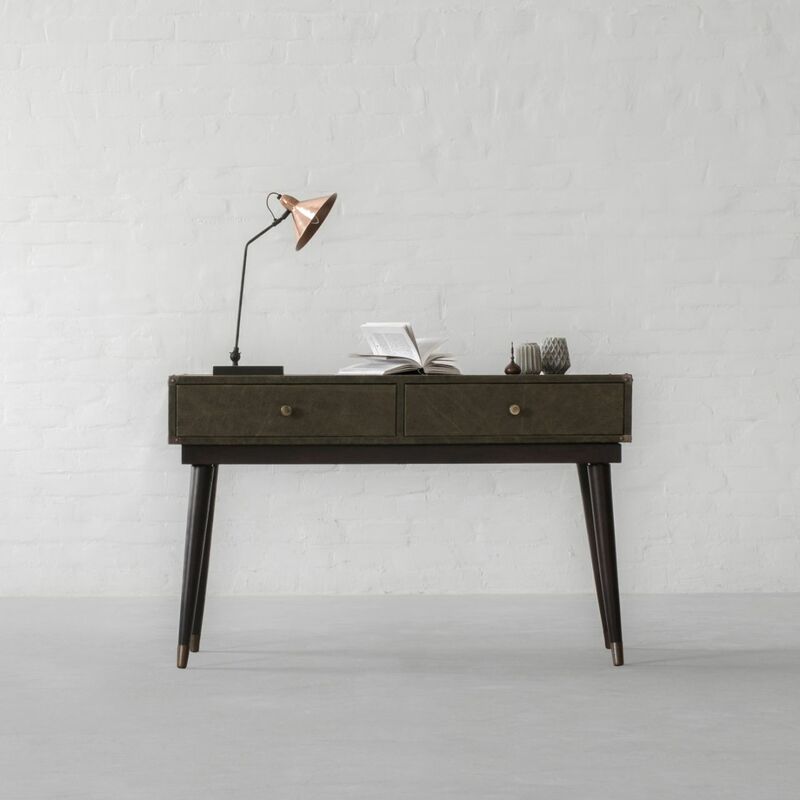 But we have redesigned this classic design for home, increasing drawer space without sacrificing style. Use this design to showcase your collectibles or adorn it with a lampshade on side or simply use it to store your daily fundamentals. 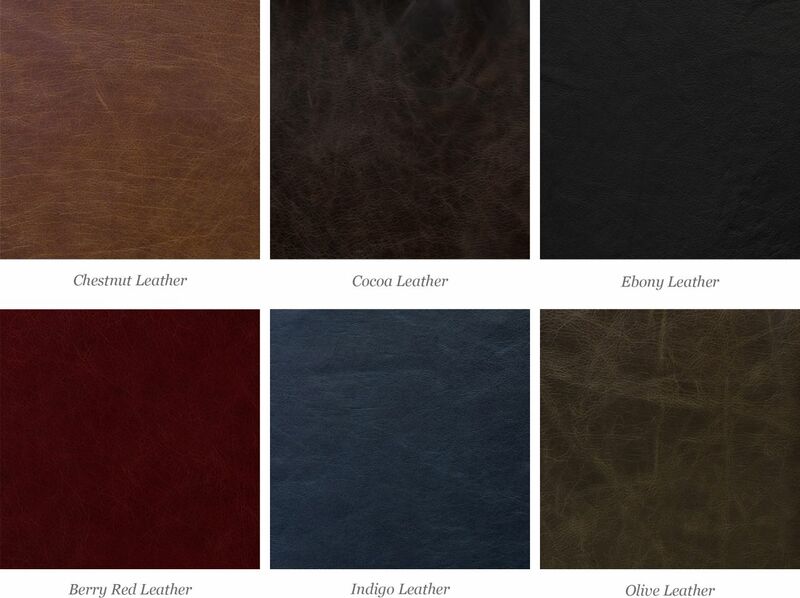 Choose from a variety of vintage scrunched leathers, to make this design your own.